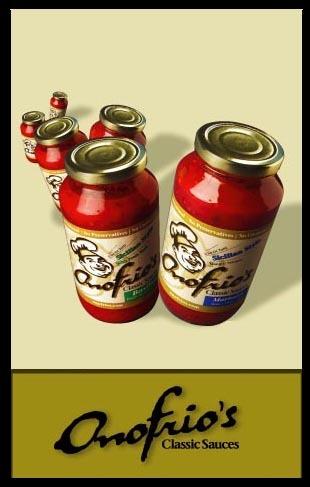 Our only reason for being is to bring you authentic Sicilian-Italian style sauces, simply – the way my grandmother, my mother and my father taught us. My maternal grandfather “ONOFRIO VITALE” was the inspiration for the good cooks on my mother’s side. He demanded excellence in everything. 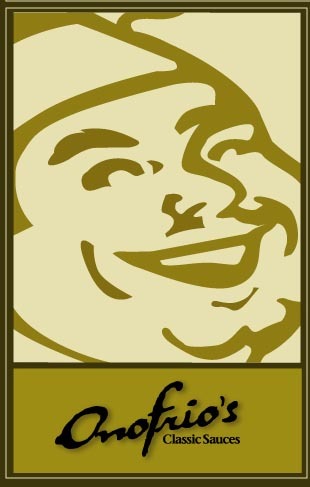 Only the finest and freshest ingredients would do – His slogan, “Prepared with love!” Mom “ANNE VITALE” and Grandma “STELLA VITALE”, excellent cooks in their own right, often told stories of the family cookouts. Grandpa Onofrio would rent a farm in the country for a family picnic - pasta, fresh game, cheese, and wine. The food would be a celebration of love! My father’s side also celebrated their food. “ANGELO JANNAZZO”, my father, was part owner of “THE SUPPER CLUB” – a quality restaurant specializing in STEAKS & ITALIAN food. Dad was the expert on the commercial side of the business. His Father “JOSEPH JANNAZZO” was in the produce business. He sold fresh produce from a horse and buggy to accomodate the families of Italian immigrants that were accustomed to creating their own pasta sauces and wines. Between my Mom, Dad & Grandma, they could answer any question and cook almost anything! Needless to say, we grew up experiencing some of the best Italian cooking this side of the ocean. Nowadays, my wife “LINDA” and I are the chef del giorno (chef of the day). But don’t think we do anything without mom’s approval, right Mom? Linda was my inspiration. She learned Italian cooking from my grandmother. They would can bushels of fresh tomatoes every year. Linda’s idea to can the finished product instead of just fresh tomatoes was the start of it all. 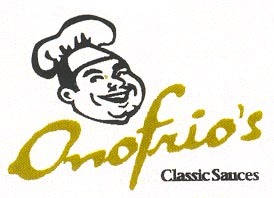 “Onofrio’s Classic Sauces” simmer and serve! P.S. Special thanks to my mother “ANNE” who has an uncanny sense of taste, my wife “LINDA” who insisted only the best and the freshest would do, my brother “DOMINIC” for his artistic creations, my brother-in-law “RON”, who helped bring you this page, and to the rest of my family and friends for your patience, opinions and optimism. Enjoy your sauce!! !